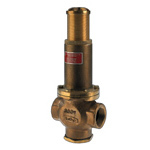 The Bailey DA Series of direct acting pressure reducing valves,offers comprehensive pressure regulation for key services, fire hose and pressure systems using steam, air, gases , water and process fluids. Wherever demanding applications exist you will find Bailey DA pressure regulators, from industrial and commercial to domestic and fire fighting applications. 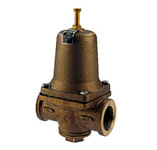 DA pressure reducing valves are used in the contruction of hotels, high - rise buildings,hospitals, textile , paper and steel mills, rubber, food , drink, chemical and pharmaceutical processes, off-shore oil and gas platforms, floating production storage and off-loading (FPSO) vessels. 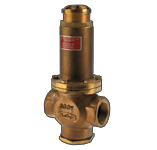 Bailey DA pressure regulating valves have demonstrated proven reliability over many years , requiring minimal maintenance. Experience and focus on customer service make Bailey the logical choice of supplier for pressure reducing valves. A policy of continuous improvement ensures that Bailey can always supply the correct solution to meet customer needs, while also providing exceptional value, reliability and performance. 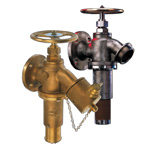 Bailey’s design and selection service can help specify the most appropriate size and type of valve for any specific application, ensuring trouble free operation. By choosing Bailey pressure reducing valves, you are selecting availability, quality , professional advice and proven performance, all delivered through an extensive worldwide network of distributors. 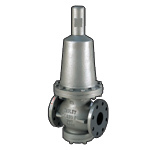 Ex-stock availability of standard valves, ensures plant production time is maximised.